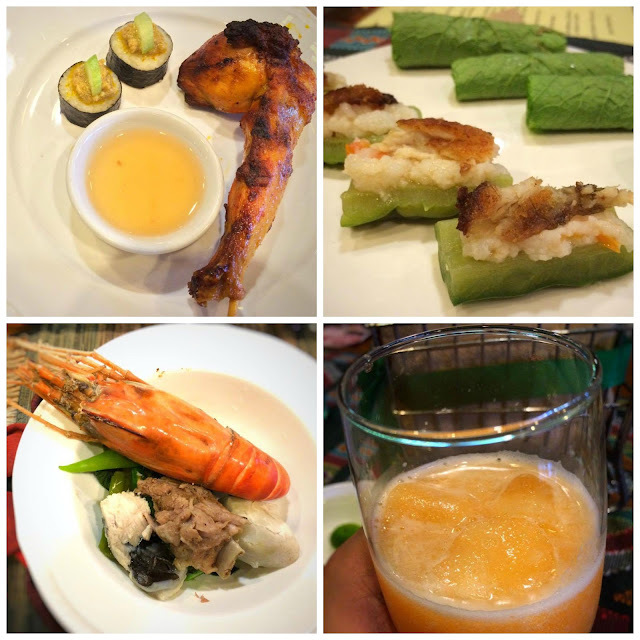 Pampanga is our country's Culinary Capital, who would disagree with that? I'm sure all of us will agree, most of the restaurant in Pampanga serves a different taste of good food. Most people who traveled from the north before they went back to Manila they usually go in Pampanga to taste the variety of Pampanga dishes and to have something to buy as presents for their loved ones. I'm very happy that again I've invited for a food crawl in Pampanga, this not new to me, I was able to taste the food in a different restaurant in Pampanga as part of the yearly food crawl. 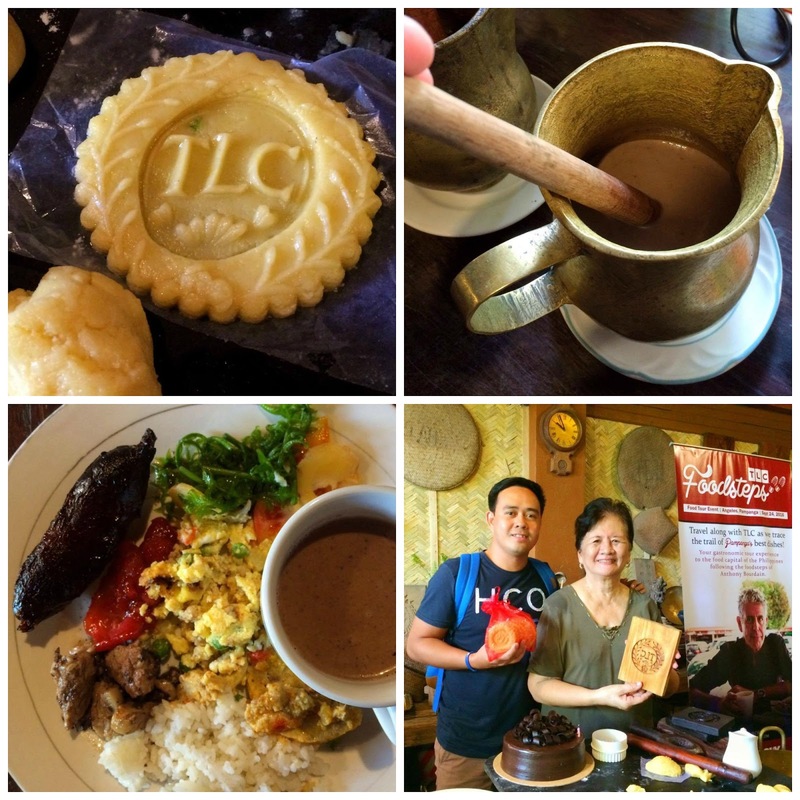 But what is so special for my recent Pampanga food crawl? because of this time, I was able to meet the well-known chef being the institution in Pampanga's Culinary. 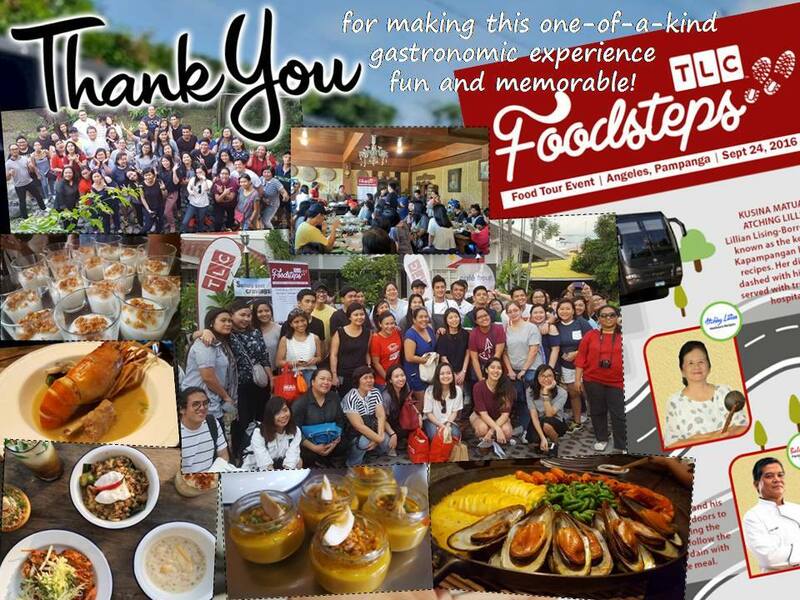 Thanks to Foodsteps on TLC for letting me experience this once in a lifetime encountered to the well-known chef being the institution in Pampanga's Culinary. Our recent food crawl in Pampanga are all new to me not with the taste of the food because that's already given. Things that are new to me from the recent food crawl in Pampanga by Foodsteps on TLC. First time to ride in a luxury coach by Luxe Bus, it was relaxing riding in this kind of luxury coach not because you feel like home but also you have enjoyable stayed for some activities presented by Foodsteps sponsors, and stress-free trips while enjoying the ride going to each place, as per Luke Bus mission, they believe that it doesn’t matter where you go, it’s how you get there. 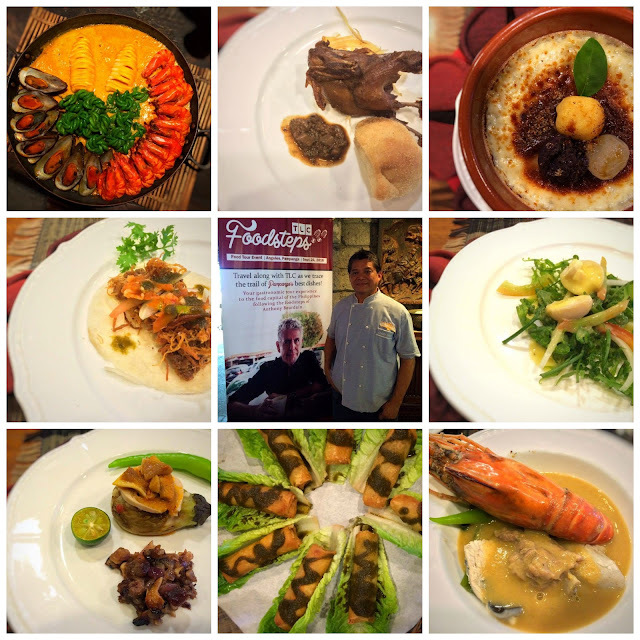 First time to meet the well-known chefs in Culinary Capital of the Philippines in Pampanga. First Stop is at Kusina Matua ni Atching Lilian, beside of hearty breakfast prepared by Atching Lilian and the main purpose of our visit in her kusina is to witness on how she made her famous Panecillos de San Nicolas. We've learned a lot from her from the time she started to become a chef and became famous on her craft from the lowest part of her career until he makes it to the top, from her famous cookies and her soo funny jokes during the demo. Which make it no doubt that Atching Lilian Borromeo is a celebrated Pampanga native and keeper of Kapampangan recipes. Second Stop is at Bale Dutung of Claude Tayag we're we have our sumptuous lunch to taste the 10-course menu that was tried by no other than Anthony Bourdain in his show "Anthony Bourdain: Parts Unknown" every Tuesday at 9 PM on TLC. From the 10-course menu, Chef Claude Tayag explained each dish from the preparations to its ingredients and why it became favorite by Anthony Bourdain. All food are good and I was amazed on how each dishes prepared and made that became different to other dishes, like the sinigang sa guava with Ulang which you can only catch in Pampanga. Together with adobong pugo, hito at balo-balo sushi and Chef Claude's one of a kind Melon Juice. Third Stop is at Cafe Fleur of Chef Sau, the place is an ancestral house that turns to Chef Sau restaurant that serves Kapampangan dishes with a twist. This is where we take our snacks and one of the dishes that hasn't tried before is tamales, but because the presentation looks appetizing I tried it and guess what, I was able to like it. 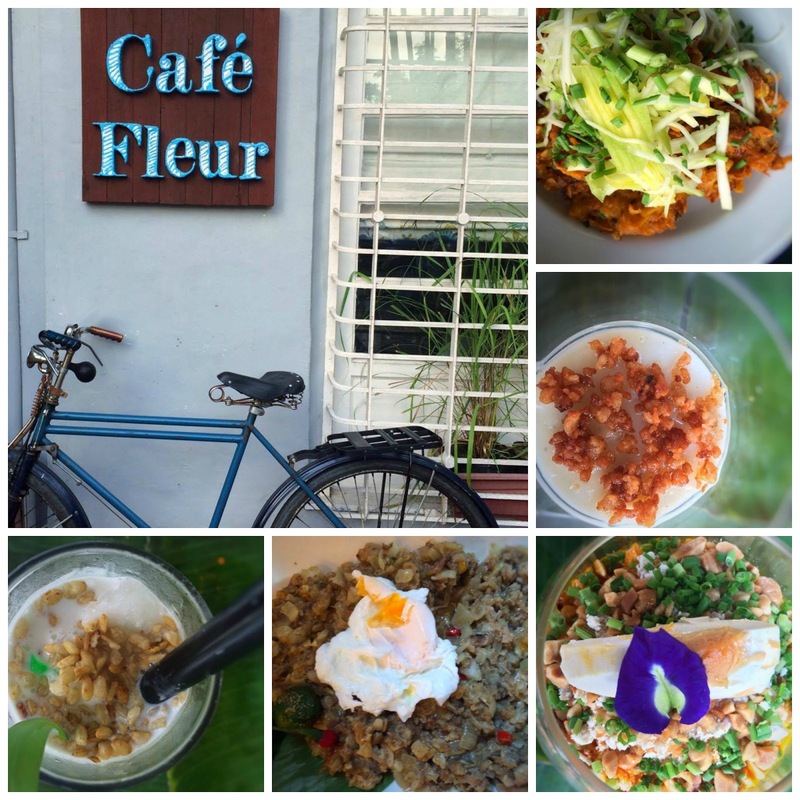 Food at Cafe Fleur are all really good and I honestly like it. 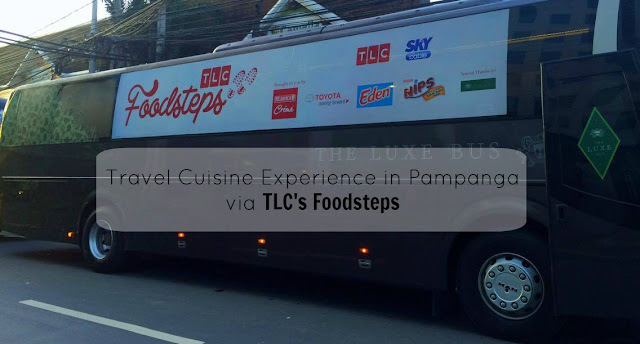 I would like to thanks again Foodsteps on TLC for this authentic travel cuisine experience, TLC is available on Sky Channel 62 and also available on Skydirect Channel 32 and Destiny Channel 62. For more information on TLC on Sky Cable, follow Sky Cable on Facebook (facebook.com/MySKYCable), Twitter, and Instagram (@myskyupdates).